Camaflexi Bookcases are top quality! Camaflexi is a family-oriented company, built with safety and flexibility in mind. Possessing an aesthetically pleasing design, Camaflexi Bookcases will add a natural sparkle, style and overall-beauty to any bedroom or specified room. Created with perfection, these bookcases possess a durable and sturdy hardwood backing, with adjustable shelving to suit your needs. Camaflexi bookcases are available in four colors with protective finishes; natural, cappuccino, white, and cherry, adding warmth and elegance to the room. Planet Bunk Bed and Camaflexi have you covered! Planet Bunk Bed has an impressive selection of bookcase for sale online, with enough size options to fit every part of your home. 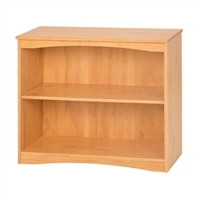 All bookcases are built with the strongest material, 100% Solid Pine Wood, which is durable, flexible, and beautiful! With our customers’ safety in mind, the bookcases meet and exceed all government and industry safety standards. Planet Bunk Bed offers free shipping on all orders above $249.99 and an easy 30-day return policy, so you can order your favorite Camaflexi bookcase both quickly and worry-free.